Recently I was testing real-world performance of TP-LINK Archer T9E AC1900 wireless adapter. The experiment was quite unsuccessful and I didn’t experience any reasonable improvement. Quite the opposite: speeds did not improve but the connection was mush less stable. All fixed, back to more productive activities. This entry was posted in Uncategorized on June 4, 2016 by andrei. This entry was posted in Uncategorized on December 8, 2014 by andrei. This post is a deviation from my general blog theme, but I simply had to post it. 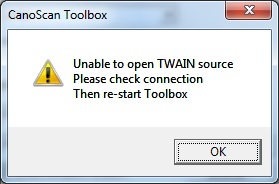 Solution: add C:\Windows\twain_32\CNQL25 to PATH environment variable. Problem solved! This entry was posted in Uncategorized on December 2, 2014 by andrei. The task of enabling SSL on your server is very simple. It doesn’t require any code changes assuming your server is already listening on https and port 443. On the server install a server-side certificate (includes private key) that can be verified by the client, i.e. it chains to a Trusted Root certificate that is installed on the client. This certificate should go into Certificates (Local Computer)\Personal\Certificates\. Also, make sure that the certificate’s subject is issued for your URL. At this point you should be good to go – make a call from the client to your server and SSL should be established. Good luck and let me know if you run into issues! This entry was posted in Uncategorized on September 23, 2014 by andrei.